The Church dates back to the 12th C but the lych gate is possibly late 19th early 20th Century. 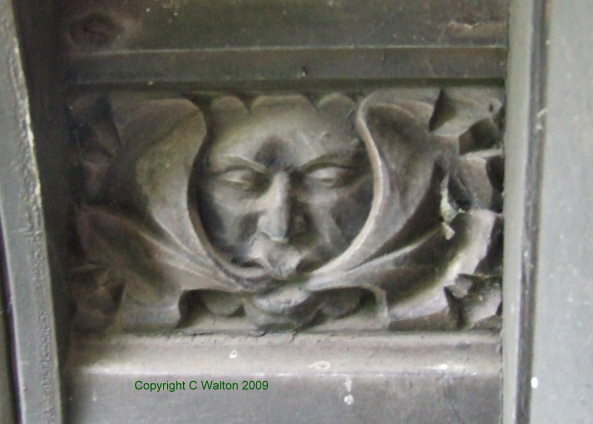 The two carved wood green men are surprisingly small and are very easy to miss. 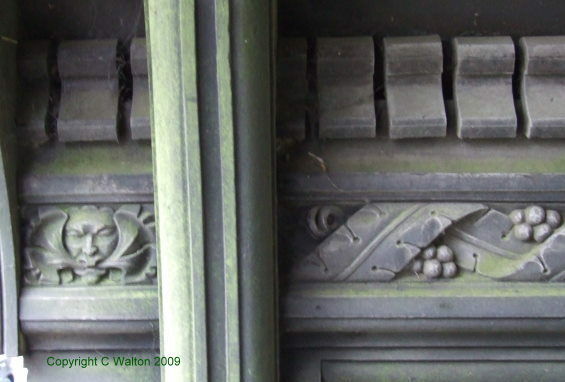 They sit diagonally opposite each other at eye level on a carved border. 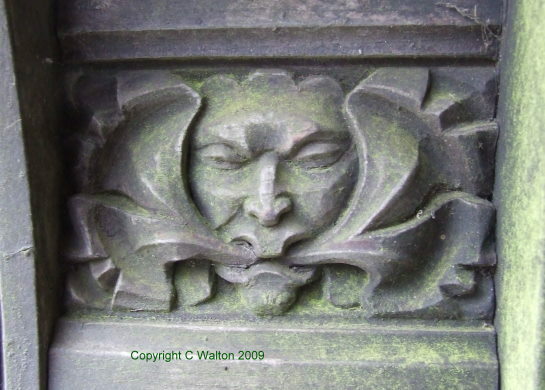 The leaves sprouting from their mouths appear to be acanthus and the green men themselves are extremely unusual.